Looking for a good way to use up the crumbs in the end of that cereal box? The one that you spent way too much money on because it was all “organic” and fiber-licious? Now you don’t have to let all that good flax go to waste! 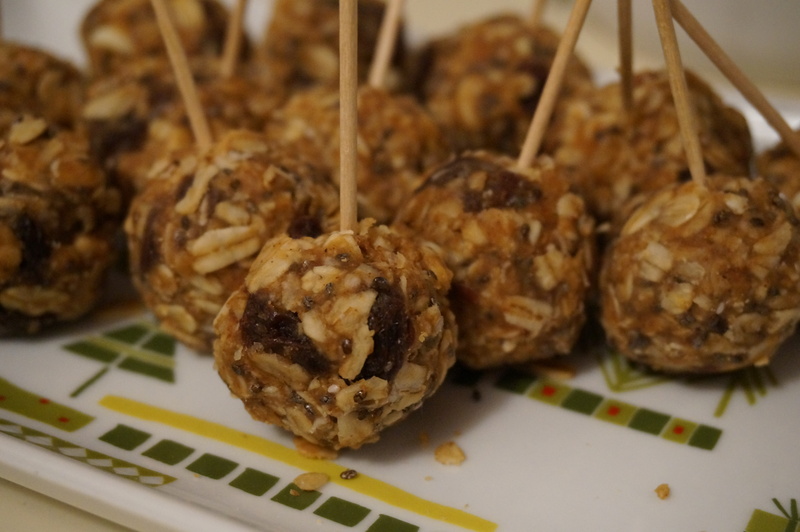 😛 Here’s a quick and easy no-bake recipe that you can whip up in minutes! Just dump all these ingredients in a big bowl, stir, chill and form into balls for a perfect on-the-go breakfast, snack or dessert! Looking for a good way to use up the crumbs in the end of that cereal box? 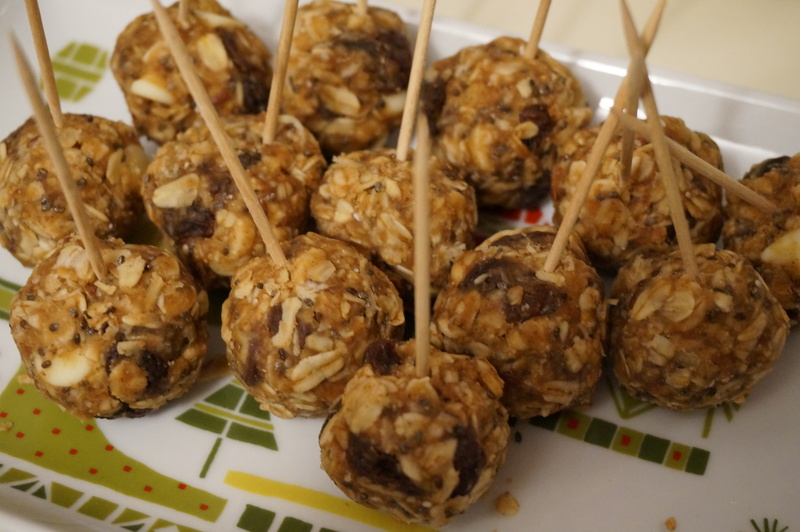 Here’s a quick and easy no-bake recipe that you can whip up in minutes! Just dump all these ingredients in a big bowl, stir, chill and form into balls for a perfect on-the-go breakfast, snack or dessert! In a medium bowl, microwave PB, honey, and vanilla for 30 sec and stir to combine. Add remaining ingredients and stir thoroughly. Feel free to add your own mix-ins like other types of dried fruit/nuts! Stick in the fridge for at least 30 minutes, then press tightly into balls about 1″ wide. There’s a lot of heft and not a ton of sticking power to this recipe, so make sure to really pack those things tight to avoid them falling apart! Store in the fridge or freezer and enjoy as an on-the-go breakfast, snack, or dessert!